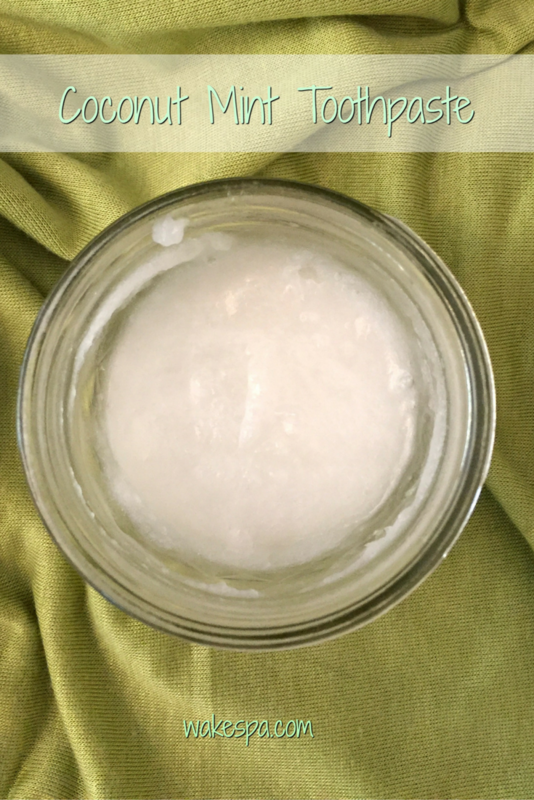 Despite the recent report by the National Heart Association arguing that coconut oil is not as healthy as we once thought, we still believe in the benefits of using coconut oil for DIY self-care products. We use it in our soaks after all! One other way we recommend using coconut oil is for homemade toothpaste! We have a refreshing recipe that doesn’t include any controversial ingredients contained in commercial toothpaste. It is super simple to make and leaves your mouth incredibly refreshed. If you’re looking for an all-natural alternative you will be happy that you upgraded your toothpaste! No chemicals such as foaming agents and other controversial ingredients like fluoride and triclosan. Coconut oil is antibacterial, anti-fungal which will assist in preventing cavities and bad breath. Don’t relax your regular oral hygiene regimen, though. Brushing, flossing, and seeing your dentist regularly is still important. Baking soda balances the ph of your mouth making it less hospitable for bad bacteria. It is anti-microbial as well. Super easy and affordable to whip up. No artificial dyes, colors or sweeteners. Mix together until it becomes a thick consistency. Store in a small glass jar in a cool place. Scoop up the toothpaste with your toothbrush and use as your normally would. This may take some getting used to as it won’t be foamy like regular toothpaste. It doesn’t mean it’s not doing its job. Let us know your experience with using this toothpaste!